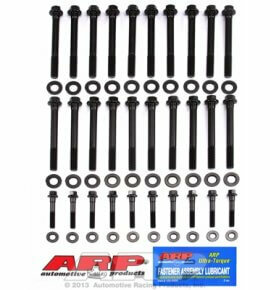 These Pro series cylinder head bolts from ARP are cold-forged to ensure molecular integrity. 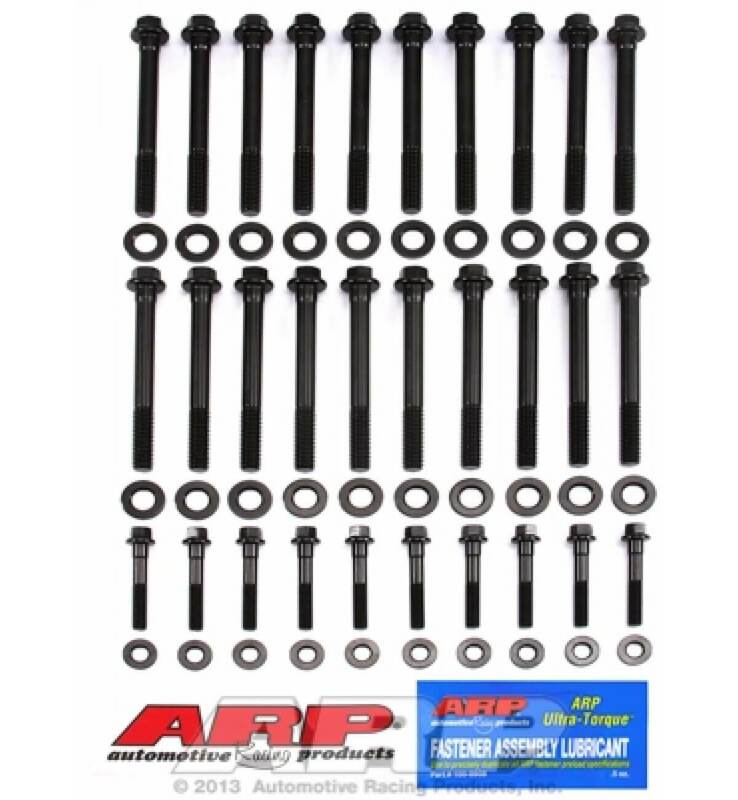 They are heat-treated prior to thread rolling and machining, and are rated at a whopping 190,000 psi. 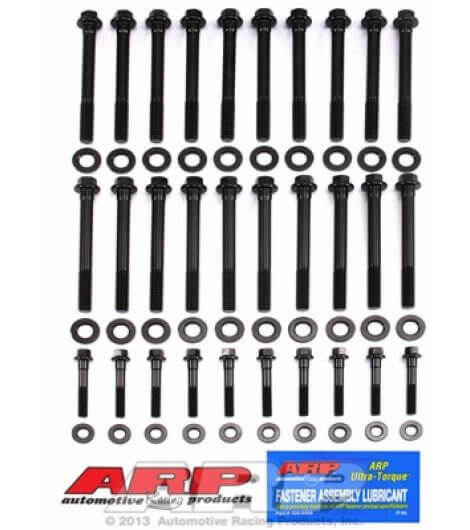 All kits come complete with hardened parallel washers for even load distribution and accurate torque readings.